Before an album makes its way to the airwaves, it needs a formal introduction. 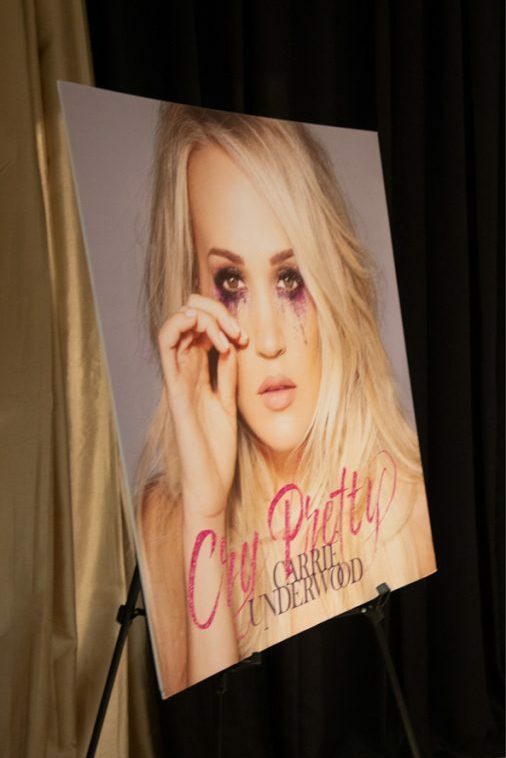 So when multi-platinum country artist Carrie Underwood was ready to release her latest album, the acclaimed Cry Pretty, her team decided to hold an exclusive listening event in Nashville. 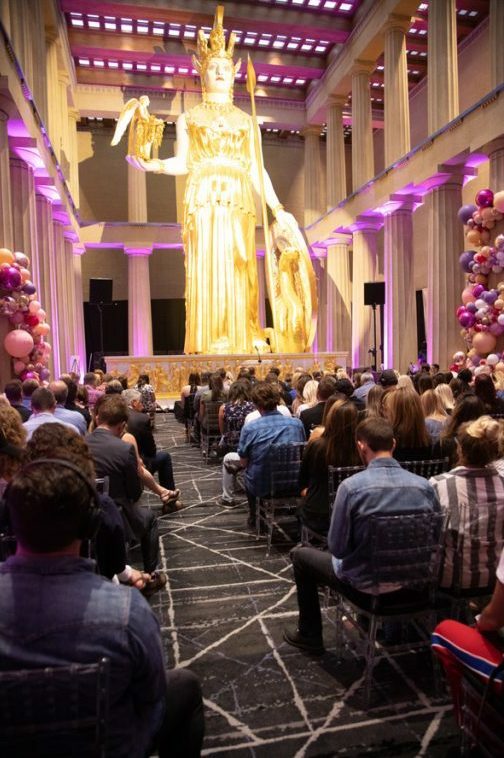 An exact, full-scale replica of its namesake in ancient Greece, The Parthenon in Nashville’s Centennial Park was the perfect setting to make a statement. With its stone and concrete walls and tremendously high ceilings, however, it was sonically challenged – an improbable site for a major music debut given the acoustics problems. 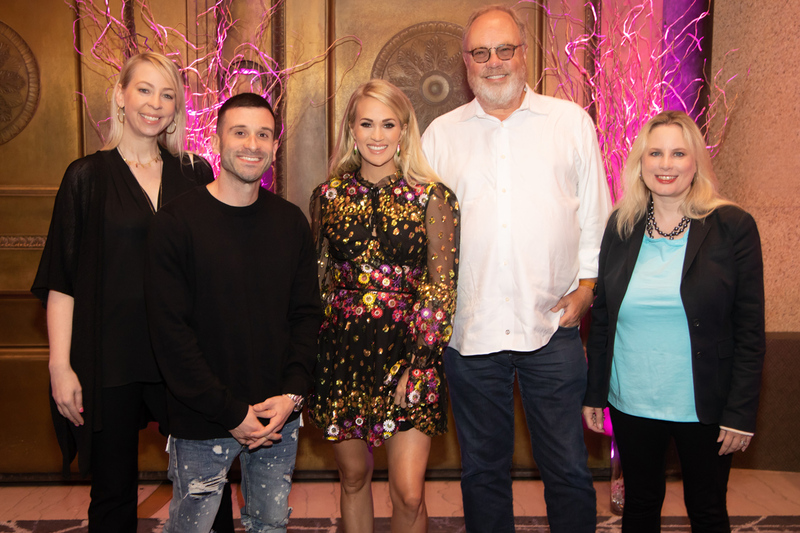 Underwood and her team at Universal Music Group Nashville pulled off the event with the help of hospitality flooring by Durkan. After the event, however, the carpet that had been installed in a day for one night’s use had to be removed. Both Underwood and UMG Nashville were adamant that the carpet be disposed of responsibly. Luckily, our company-wide commitment to sustainability meant that we were able to leverage ReCover, the carpet recycling program of our parent company Mohawk Industries, to give the broadloom from the Cry Pretty event a whole new life. Smaller bound area rugs were made from the large carpets and auctioned off at a special event to raise funds for the Lifecycle Building Center (LBC) in Atlanta. Founded in 2011, LBC is a nonprofit that converts discarded building materials into a resource for communities and empowers energy-saving, sustainable solutions. We were thrilled to contribute to the event’s success, and to see the carpet, which was used for such a special occasion, get a new life in a sustainable way.